Turkey is a really popular ingredients and a great alternative to chicken. From our Turkey Chilli to Turkey Meatballs to our incredible Chipotle Turkey Burger, there is a turkey recipe here for everyone! This rich and healthy Turkey Chili is made with lean turkey mince and is an easy and comforting meal with minimal effort. 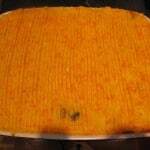 It is very quick to prepare and you can throw everything into the pan and let it cook away. It is all done in one pot, which means less washing up and it’s a good way to use up what you have in the fridge too. You can even cook it in the slow cooker too. You won’t find much more of a classic comfort food dish than a sausage casserole. 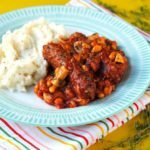 Famed for being a dish that you can just throw everything in to, this Turkey Sausage and Mixed Bean Casserole does not disappoint – a great way to use up leftovers and like a big hug in a bowl. Turkeys aren’t just for christmas! 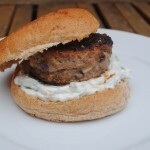 These Greek turkey burgers are a great option if you are looking for a leaner, healthier option to a traditional burger. 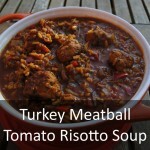 This spicy Turkey Meatball Soup is quick and easy soup for any week night meal. It’s hearty, filling and soup-er delicious! 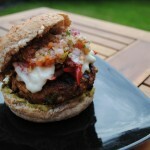 Everyone loves a good burger – but this is Mexican Burger a GREAT burger! All of your favourite Mexican flavours in a healthy burger. This Turkey Pie is another warming recipe. The turkey mince is leaner than using beef and by adding beans, you are bulking it out and can use less meat.